Dancescape Ed - Cheshire Moon Inc.
Dancescape Ed brings our roster of dancers, choreographers, and teachers into local schools to provide dance education programming. Cheshire Moon works closely with school administration to define and develop the Dancescape Ed curriculum that best fits the needs of the school. We then identify and bring in the instructor(s) that will match those program goals. We have proudly partnered with Los Angeles Leadership Academy for five successful Dancescape Ed programs. 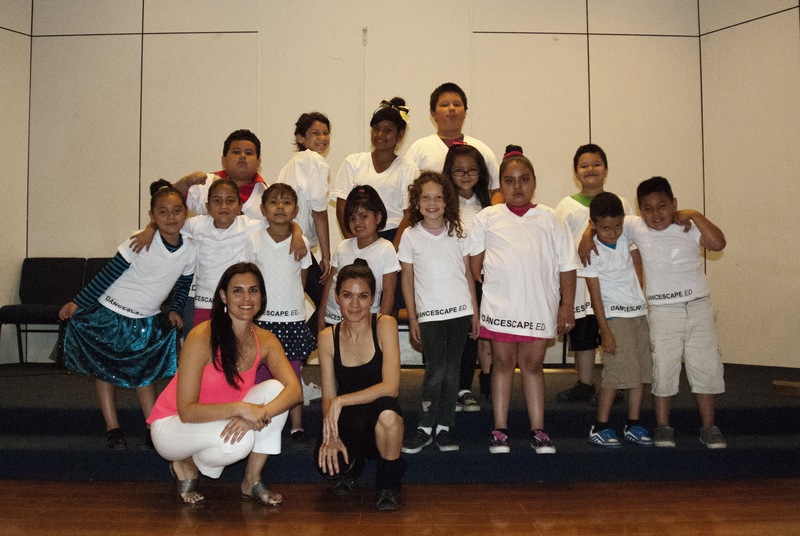 Dance classes were offered as both curricular and after school programming over the past 3 years. Our Spring 2016 session brought two instructors weekly to teach more than 50 elementary school students a variety of dance styles. Please click here to read a Dancescape Ed Case Study by Kendall Brown. For more information about bringing Dancescape Ed to your school, or becoming an instructor, please email JamieG@CheshireMoon.org with “Dancescape Ed” in the subject. “The children are really enthusiastic and so unique. These are kids are learning English as their second language and utilizing the school to advance as leaders in Los Angeles County. With dancescape Ed I am teaching them jazz, commercial dance, and hip-hop, and they are also learning how to count to music.